We offer Homemade pecan-wood smoked bacon, made fresh in store. 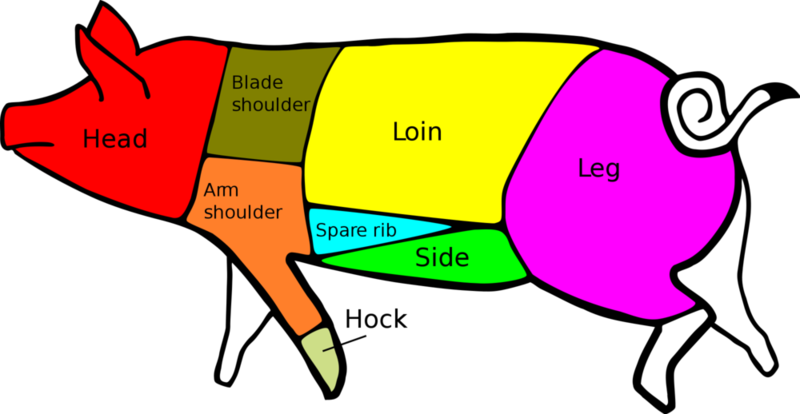 Our cuts of pork include chops, shoulders and competition trim ribs. The breeds we sell include Berskshire, Poland China, the Hampshire and Mangalista.